Paperback, 6.75 x 8.75 in. / 464 pgs / 350 color. 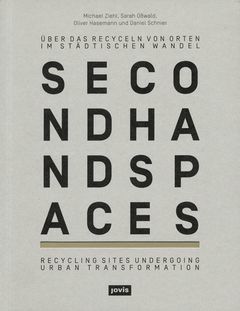 Edited by Michael Ziehl, Sarah Osswald, Oliver Hasemann, Daniel Schnier. In this volume, 27 urban planning experts highlight the backgrounds, users and effects of so-called “second hand spaces”--vacant sites which have been repurposed in areas undergoing urban change. 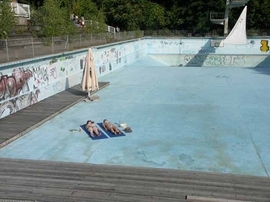 The new functions of these spaces range from activities as simple as sunbathing in a defunct swimming pool to the installation of an open-air boxing ring. Featured image is reproduced from Second Hand Spaces. FORMAT: Pbk, 6.75 x 8.75 in. / 464 pgs / 350 color.